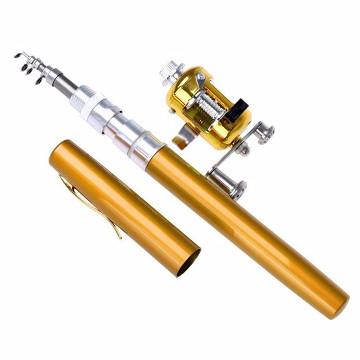 PORTABLE POCKET PEN FISHING ROD - 75% OFF & FREE SHIPPING TODAY! 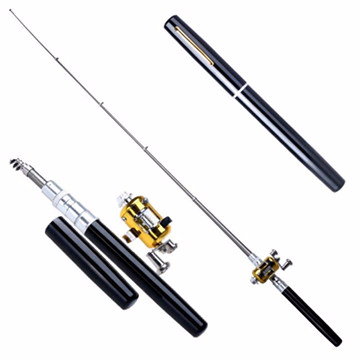 Fish anytime, anywhere with this ultra portable pen shape fishing rod and reel! 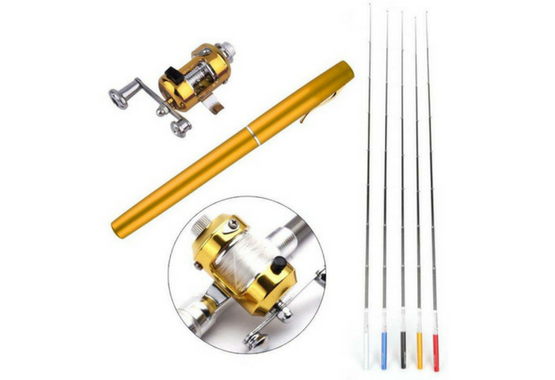 This mini portable pocket pen fishing rod and reel combo are perfect to have in a go bag or stored anywhere since its so compact. Its 8" when it's closed and opens up to approx 38". The rod is made from fiberglass and aluminum alloy. 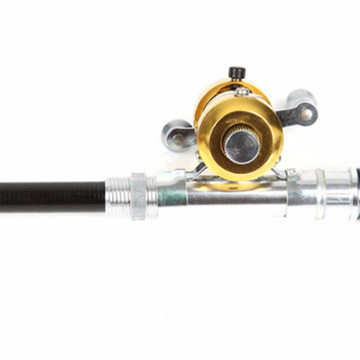 The aluminum alloy reel includes forward and reverse ratchet stop and drag control. Its perfect for people of all ages. The perfect rod when you just don't want to carry around all your fishing gear!